« Giant Zombie Killer Virus Rises From Its 30 000 Year Grave To Kill Us All! Or Not? 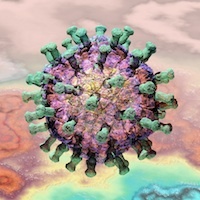 I picked up yesterday – via @MicrobeTweets’ Twitter feed – on a very useful list of papers in a “Virtual Special Issue” of Elsevier’s recent coverage of vaccines – for “World Immunization Week”. Great stuff, I thought to myself, as I browsed the list – and downloaded at least those that were Open Access, or which I can get via our Libraries’ IP range. So, I parked the conveniently Open Access-ible window away on the side of my desktop, to be got back to with every expectation of delight. – boggles the mind somewhat. Really? That’s all they have, compared to the screed immediately before it on baculovirus-produced antigens? They get the expression system wrong – it is an Agrobacterium tumefaciens-mediated transient expression system in Nicotiana benthamiana involving a Cowpea mosaic virus-derived enhanced translation vector – and neglect to mention that the VLPs produced are as good as anything produced in insect cells; will be FAR cheaper to produce, and WORKED AS WELL AS THE CONVENTIONAL ATTENUATED LIVE VIRUS VACCINE IN A CHALLENGE EXPERIMENT IN SHEEP. True! This is a big deal, folks, really: successful production of significant amounts of VLPs requiring simultaneous expression of 4 structural proteins of BTV-8 in plants AND their subsequent assembly, AND performing as well as the standard vaccine in an animal trial. But no – not good enough for our review’s authors…. I must declare vested interests up front here: first, we work on plant-made recombinant Bluetongue vaccines; second, I and others in my group are co-authors of the paper whose lack of coverage I am aggrieved about. But that’s not the point: what IS the point is that this review is a slipshod piece of work that damns our collective endeavour with faint praise, in community that might otherwise have been alerted to an alternative to the far-too-expensive-for-animal-use baculovirus expression technology. This entry was posted on 1 May, 2014 at 10:20 and is filed under biofarming, biotechnology, Vaccines: General. You can follow any responses to this entry through the RSS 2.0 feed. You can leave a response, or trackback from your own site.